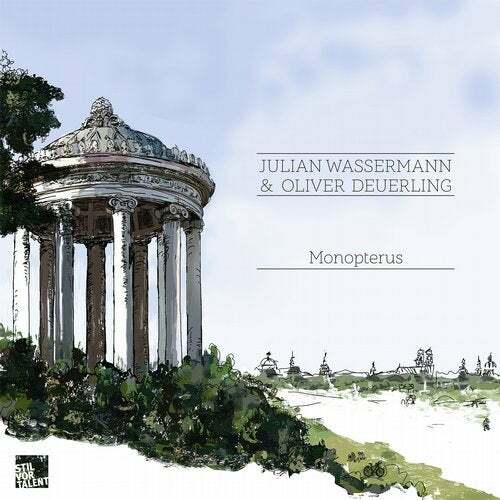 Munich based producers Julian Wassermann & Oliver Deuerling stick to their roots on their Monopterus EP. A sonic incursion into the deep ends of house and tech, the duo pay homage to their hometown, as each title track points us in the direction of a well known city landmark. Much like the monument with the same name, Monopterus is a solid construction starting off with an exposed kick thats soon suspended by intricate melody parts, spare percussion and ethereal synths. Björn Störig tones down the drama on the remix. By focusing on the percussive line, Störig reshapes the melody, giving the track a relentless groove with major peak-time appeal. Muechner Freiheit surprises with its minimalist ambiental approach, as looped piano chords create a sense of celestial atmosphere. The track is stripped back and hypnotic, adding to its sense of airiness. Schwabing combines the complementary essences of the past two original tracks, fusing an atmospheric ambiance with a steady, energetic percussion. Hazy vocals increase the oneiric sensation, anticipating the uplifting and elating breakdown. The final track is a robust cut that's full of tension and brooding darkness. Whirring synths and electronic squelches intertwine with ghastly vocals, amping up the murky factor.Omen showcases an elegant exercise in layering unusual textures, and the perfect track to finish off the release.